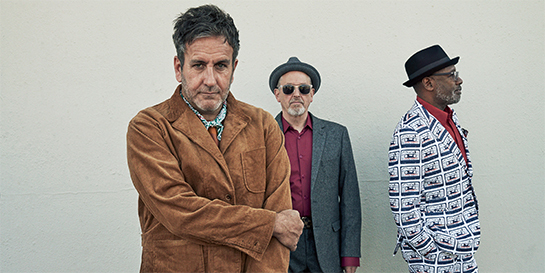 The 10-song record was produced by Specials founding members Terry Hall, Lynval Golding and Horace Panter alongside Danish producer Torp Larsen and is the first new material from the group since their 1981 number one single Ghost Town. 2019 also marks 10 years since the band came back together for their 2009 reunion tour. The first single from the album was Vote For Me which had its first play with Steve Lamacq on BBC Radio 6 Music in December. Last week, the group gave another glimpse into the album with new track 10 Commandments, which features viral activist Saffiyah Khan. As the NME declare in their 4* review, “Brexit chaos. A near-decade of Tory austerity. Poverty, racism and inequality on the rise. A country irreparably divided. Time to send out the Two-Tone Bat-Signal and call in The Specials”. As true innovators of the punk era, the Specials began the British ska revival, combining it with a political and social attitude. The band debuted with their single Gangsters, which scored a UK Top 10 in 1979. The group performed on The One Show and on Soccer AM last weekend and tonight they will perform live from The 100 Club, headlining BBC Radio 6 Music’s independent venues celebratory week promoted by Fred Perry, which will be broadcast at 6pm on Steve Lamacq’s show.